🖤 Another loss, just as Cushing’s Awareness Month started again. MaryO kicks off Cushing’s Awareness Month with a blog post about a testing method that had been discussed for years but many of us haven’t been tested this way. Today, I’m going to be talking about my Cushing’s story, which still continues, even 8 years after I was diagnosed. I remember the moment I realized something wasn’t right. My mom was taking me to the mall, because none of my jeans fit me anymore. She was talking about how she wished I would try to lose weight, because she has been overweight most of her life, and didn’t want that for me. But, I needed pants to wear to school, so I bought another size up. I remember thinking, nothing has changed. I didn’t eat more, or less, I hadn’t stopped any activities. Maybe this was just my metabolism slowing down. Interview with Mary O’Connor (MaryO), founder of Cushings-Help.com and 20-year pituitary Cushing’s Survivor. Robin (staticnrg) hosted. This is the first podcast I have listened to. How wonderful to hear your voices! Thank you Mary for sharing your story and for Robin for being the perfect host. This is a wonderful way of hearing about many of our journies with this awful disease – just brilliant! Great topic……more awareness is needed as I’m convinced this is under-diagnoised vs. uncommon!! 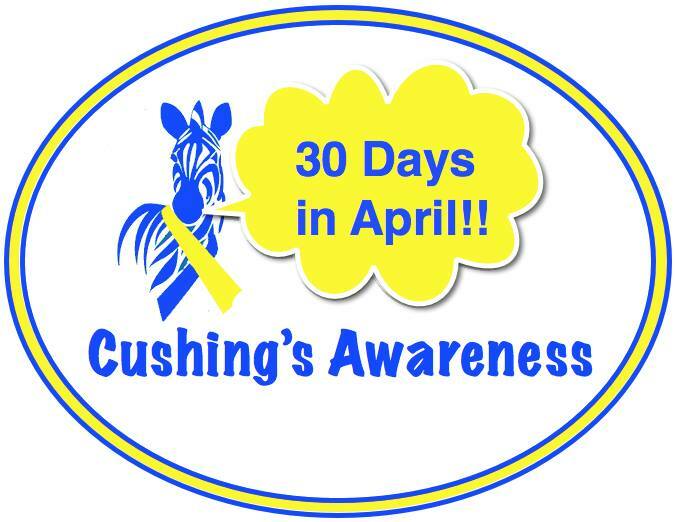 ✏️Cushing’s Awareness Challenge 2019 is Here! Enjoy following the posts of the outstandingly brave Cushies as they attempt to post a blog post each day for the month of April! ✏️ Get Ready, Set, Write! Read all the blog posts here, on the right side. It would be great to share some (ALL?) on Twitter, Facebook, wherever to get the word out even further.